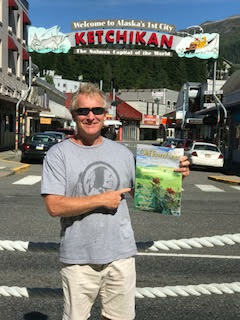 Alexandria native, Greg Rucker takes the OTC to Ketchikan, Alaska! Greg accompanied his fiancée to the “Salmon Capital” of the world. While she attended job related functions, Greg was enjoying the sites and scenes – everything from salmon and lumberjacks, to seals and bears. He brought along something from home to keep him company – The Old Town Crier!